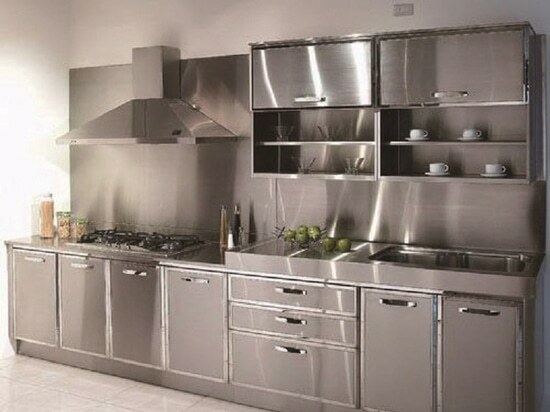 From the traditional offline retail to the war of the e-business, from the pure pursuit of growth in the quantity to the pursuit of quality assurance, household appliance industry is undergoing profound changes. 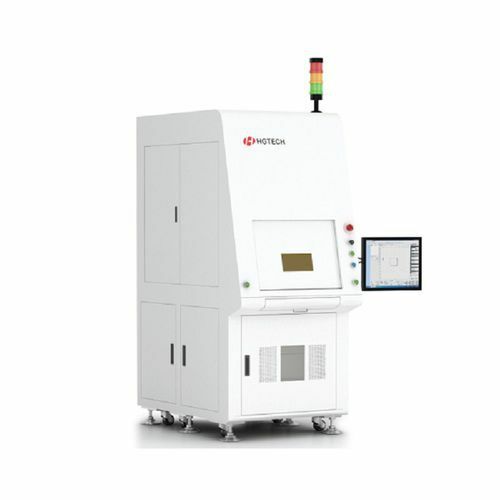 In order to cater to people for the pursuit of quality life, laser technology has been applied into the appliance industry and innovating all the time. 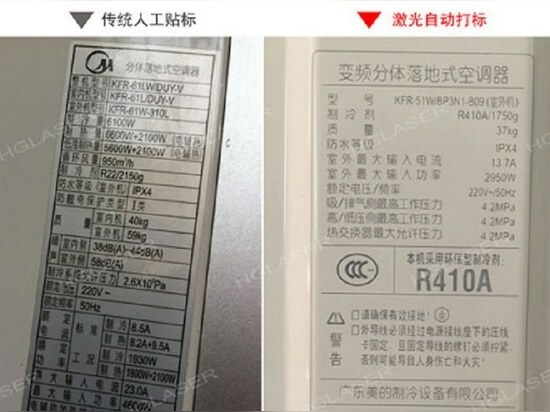 Materials such as PET, PVC, coated paper etc were used to make household appliance product parameter label. Firstly, suppliers have to get labels ready by purchasing or producing. Secondly, suppliers need to hire people to pastelabels on appliances.Obviously, the traditional way of marking is of low efficiency. And the label are easily torn, pasted, and bubbled. What’s more, it needs a lot of label paper and extra worker and working time. In a word, it has a high production cost. 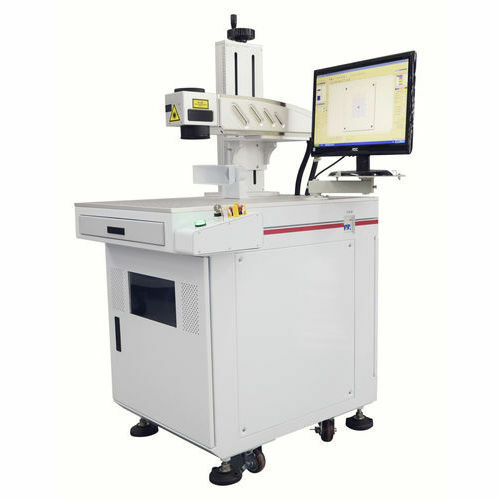 On one hand, laser marking saves large amount of label paper; on the other hand, traditional manual labeling is changed to laser automatic marking. 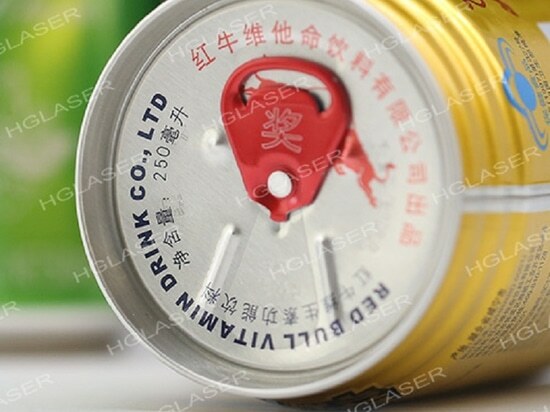 In other words, Laser marking can not only improve production efficiency, save manpower and material,but also more environmental and efficient. 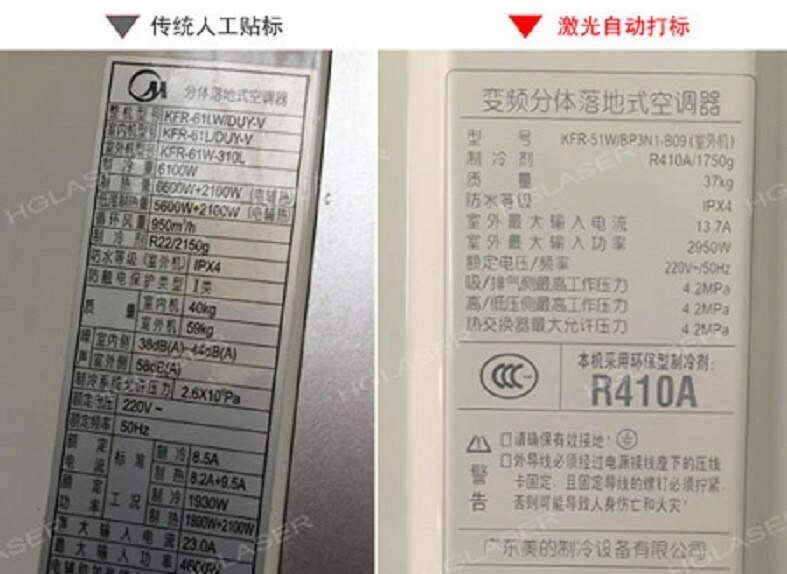 A few years ago, Appliance giant Midea group used laser marking technology to complete automatic reconstruction of air conditioning production line with the help of Chinese laser supplier—HGLaser. 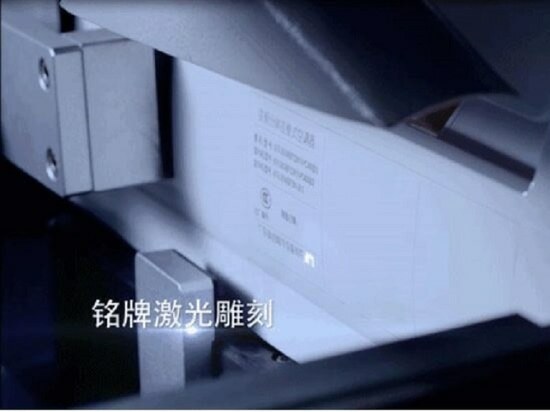 Subsequently, first-class appliance manufacturers such as Haier, TCL, AUX successively co-operate with laser enterprise to expand laser marking application in the field of white appliances actively. 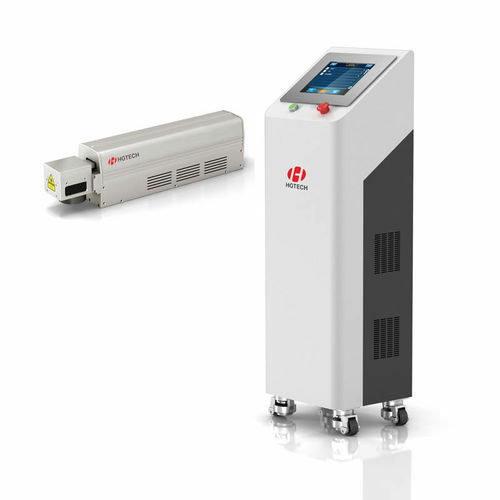 Laser marking technology brings a new labeling and nameplate processing solution to air conditioning, refrigerator, washing machine, remote control and other appliances.